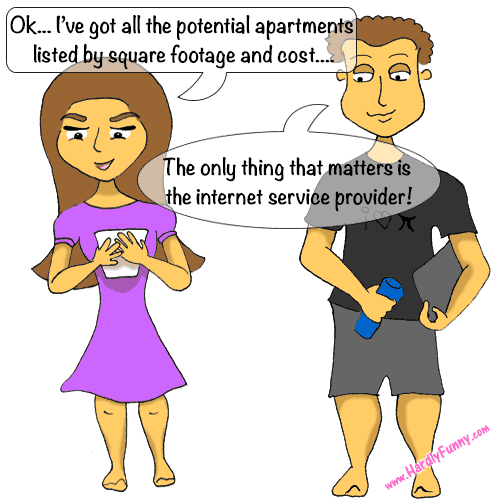 I’ve learned that the internet service provider is the most important amenity when choosing a home. In Los Angeles, we couldn’t find fiber anywhere that we had lived but now that we’re moving to Walnut Creek/East Bay, I think there is hope for a home sweet home. This entry was posted in Posts and tagged home life, ISP, things randall says by Samantha. Bookmark the permalink.